Big trucks have been a ubiquitous part of the job site for most of the 20th and 21st centuries. People who used these vehicles valued them for their power and durability. But these were not the most versatile vehicles on the planet. Because of the limits of the 20th century manufacturing process, designers had to create big trucks that worked for the most possible applications. If the truck didn’t fit your individual job or job site, you were out of luck. Some people were able to adapt their jobs to the truck, but others weren’t. Today, manufacturing, production, and design innovations have changed all this. 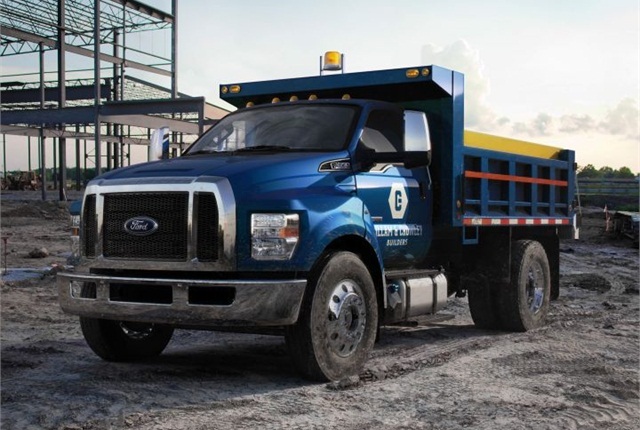 Ford’s medium-duty trucks are a perfect example. Ford’s recent innovative design changes, to multiple utility vehicles in their fleet, have been seen in amazing versatility available to the end user. Like the Ford Transit, which is now available in different lengths and different interiors, the new Medium-duty trucks are customizable to make each unit a perfect fit for real jobs. The proof is in the details. One of the most genius ways that Ford has achieved their goal of unit adaptability was achieved in a simple way. Most of the vital components that made the truck run were placed in or directly beneath the cab. This leaves the back end of the truck a simple device, one that can be swapped out with several other possibilities, to fit the job of each buyer. The possibilities don’t end there. These trucks are available as diesel or conventional gas consuming units. They are also available as tractor or straight frame trucks. There are also design details meant to benefit users regardless of personal truck performance needs: each truck runs 45% quieter than Ford’s previous medium-duty trucks. These design changes collude to make Ford trucks the industry definition of usability and performance.